The Astral Pulse > Astral Projection & Out of Body Experiences > Welcome to Astral Consciousness! > Frank's Posts PDF! I havent' been here in so long.... But I recently purchased Hemisync Gateway Experience cd's.... And I remember Frank so I am excited to find this. This is why I came back to find these posts. Thanks Ryan for compiling this together! I will drink a toast to this sticky today. I had a success last night a small step in the right direction. This man was brilliant who knows maybe he's helping us from wherever he is now. I had a false awakening. I was having trouble breathing and reached to my nightstand for the inhaler .... and realized that my hand went through it instead of picking it up. I thought I had it and used it and realized that it was not the case and that I was in astral. .... startled myself so much at the realization I zapped into my body again. Still it was the first day I worked with his material from these posting ( not the phasing I used that before this) and it worked. I still have a long ways to go but at least a little light was seen at the end of the tunnel. I favour pictures and diagrams/mind maps as this helps me better conceptualise ideas and inter-relationships. 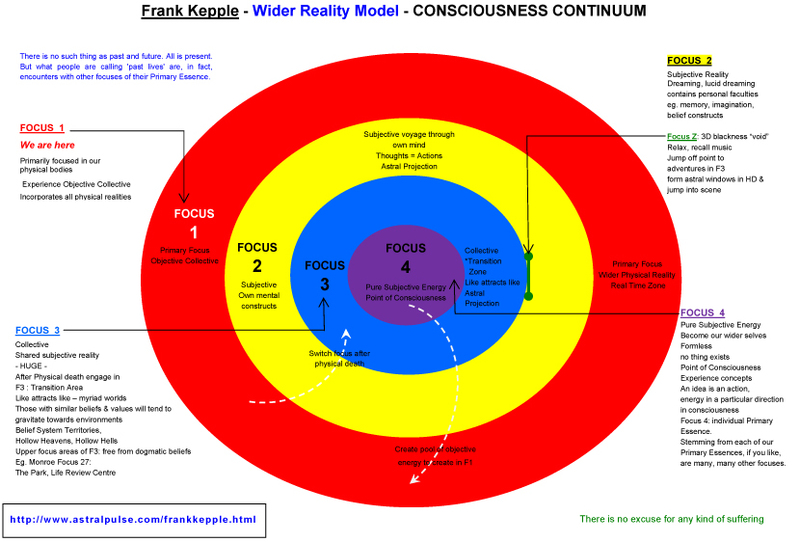 I have put together a diagram of Frank Kepple's Wider Reality Model. I welcome any suggestions to further improve it. The "Pictorial King" strikes again, lol! I think Buhlman would picture the opposite- the more removed from the physical the more 'inner' it gets. Thank you dreamingod! I have always had a bit of trouble fully visualizing this model. I dunno, I really get the sense that things aren't quite as "linear" as that. Right, so consciousness is apportioned into 4 areas. Someone asked me recently if there was anything beyond Focus 4, i.e. a Focus 5 or such like. 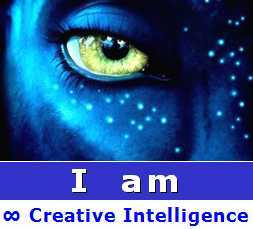 The answer is, to my knowledge, within our particular system there are just 4 Primary areas. But consciousness doesn't end there. Consciousness is infinite. There may well be an infinite number of other systems either like ours or perhaps wildly different. But let's just concentrate on the structure of our particular system and get people projecting properly with that first. Our system can be divided into Focus 1, Focus 2, Focus 3, and Focus 4. Together they form the totality of our Consciousness Continuum, or all that is (at least in our system). Each of us has our very own Consciousness Continuum that exists across these four areas. I agree. I have updated it. Well, honestly, Franks are just as arbitrary. I still don't know about any linearity to the larger reality. Everything I've experienced has seemingly been very unlinear... EXCEPT for my own awareness/consciousness. That's the only linear thing I've encountered. An easily identifiable continuum of non-awareness to full awareness. I'm not sure I know what you mean by that, Xanth- Do you mean you can go from Focus 1 to 3 or from 2 to 4 or something like that? I'm not comprehending what you mean by this, especially with the linearity of consciousness- isn't the whole thing the same, the experience being the same as the consciousness of the experiencer that changes focus? I guess what I'm saying is that I don't have any further need for the Focus models... Monroe or Frank's. They haven't fit my experiences for a short while now. 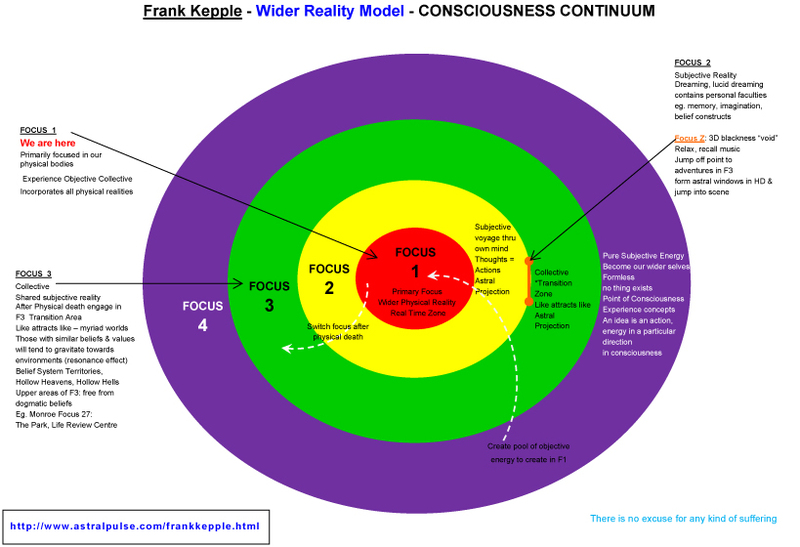 Perhaps my consciousness continuum awareness linear system (as it is also a metaphor) is a metaphor of similar type to the Focus Models? I never really thought of it until now really. I'll need to think about this for a bit... lol You've pointed out something, CFT, which I think is of paramount for me to look into much closer. I read them. I understand what they are all saying. But I find, I'm not a "nuts and bolts" person, I'm more of a "hands on" guy. I don't care about whys or hows, I just "do it"! Possibly this will change. But you will find that after many successful Journeys you seem to come to an idea on what is really going on. That is according to the way you are perceiving things there for yourself! Im actually reading this PDF. I think this is the best "book" ever about astral projections. So much gratitude for Frank and you Ryan! Thank you!